The UK and the US are holding memorial services to mark the 25th anniversary of the Lockerbie bombing in which 270 people were killed. 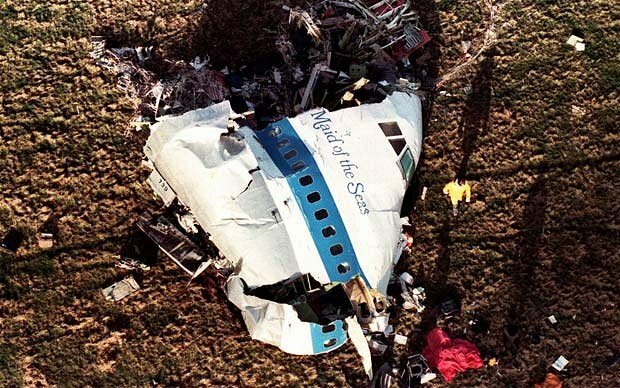 A wreath-laying and church service will be held in the south of Scotland town which was devastated when Pan Am flight 103 was blown from the skies in 1988. Events will also take place in London and near Washington DC. It emerged on Friday that the family of Lockerbie bomber Abdelbaset Al-Megrahi want to appeal against his conviction. Among the gatherings marking the anniversary of Britain’s worst-ever terrorist attack is a remembrance service being staged at Westminster Abbey in London. In the US, a ceremony will take place at the memorial cairn in Arlington National Cemetery, near Washington DC. The Boeing 747 was just over half an hour into its flight from London to New York when it exploded, seconds before 19:03 UK time, on December 21, 1988. In the US, a service of “hope and remembrance” is planned at the Hendricks Chapel of Syracuse University in New York state, which lost 35 students who had been studying at its London campus. The service will be followed by a procession to its Wall of Remembrance. A further service will also take place at the university’s Lubin House in New York. Events at the Arlington National Cemetery in Virginia will centre on its Pan Am 103 Memorial Cairn. It is made of 270 blocks of Scottish sandstone – one for each of the victims of the bombing. Events in Lockerbie will see a wreath-laying at the Dryfesdale Cemetery in the afternoon with a service at the Dryfesdale Church in the evening which will have the theme of “looking forward”. One man, Libyan Abdelbaset al-Megrahi, was convicted of the bombing at a special Scottish court sitting in the Netherlands in 2001. He was released from jail on compassionate grounds in 2009 after he was diagnosed with advanced prostate cancer. Abdelbaset al-Megrahi died at his home in Tripoli last year.